We commonly get asked: Will your dumpster damage my driveway? A number of factors go into this answer, and while it is unlikely that a dumpster will cause damage, it is very possible and for that reason we recommend practicing caution and protecting your driveway. 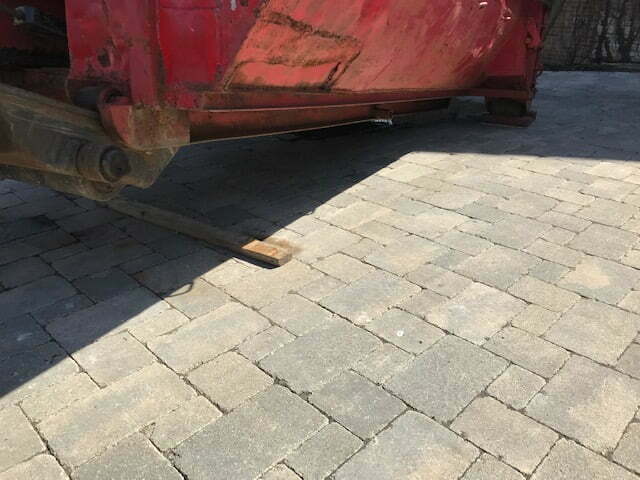 Most dumpsters have steel wheels that can cause scratches or marks on your driveway during the delivery process, and depending on the weight of the dumpster, how old your driveway is, and the material of your driveway-cracks can also occur. Most dumpster companies have a damage clause so they are not liable if damage were to occur. 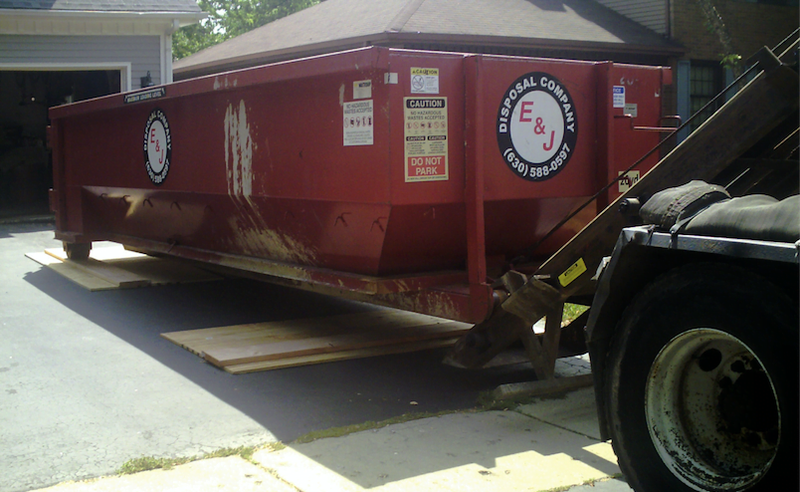 Luckily, it is extremely simple to prevent possible damage and give yourself piece of mind during your dumpster rental. All you will need are a few pieces of wood, we recommend 1 sheet of 4×8 plywood 3/4″ thick and a 2×4- 8′ long or 2- 2×6-8′ long and 1 2×4-8′ long, to go beneath the steel feet of the dumpster and your driveway. Some companies may also offer driveway protection at an extra charge and take care of everything for you. 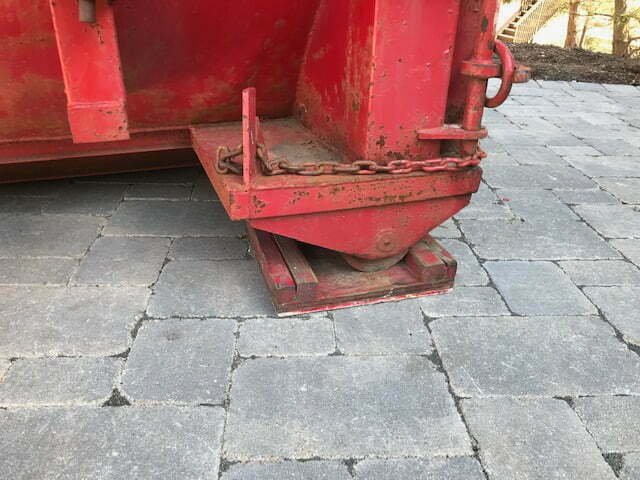 E & J Disposal provides specialty made “pads” that protect your driveway. Sometimes customers place requests to place the dumpster in the street instead of their driveway. This is another option to prevent the risk of driveway damage, however most towns have regulations prohibiting this and it would require getting permission and possibly a permit from your local authorities. 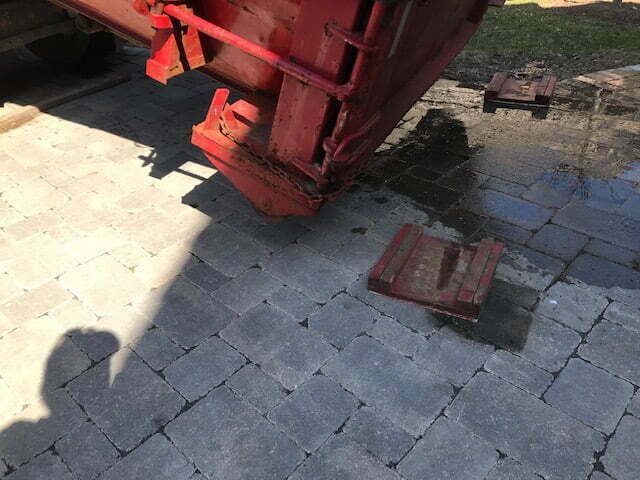 While it is rare for experienced and reputable dumpster rental companies to damage driveways, it is a possibility and very simple to reduce the risk. If you’re worried about your driveway, give a call to your dumpster rental company today to learn what options they offer or you can always purchase the materials we recommend to give yourself peace of mind. 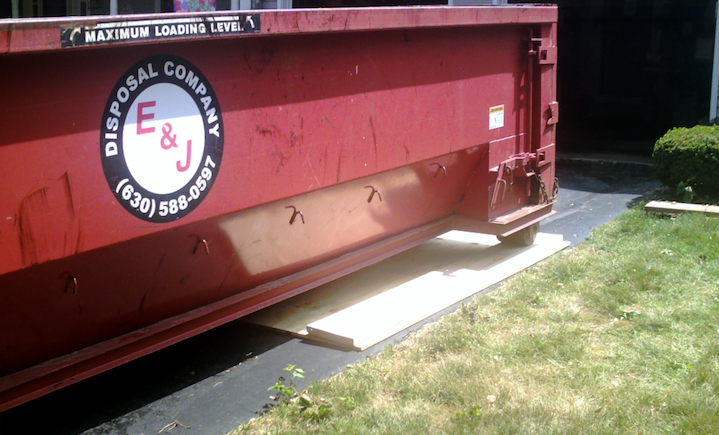 At E & J Disposal we offer dumpster rental service and driveway protection for an extra fee. We also have customers provide the wood for our drivers to place. To learn more about our services or rentals for the Carol Stream, Aurora, and West Chicago, IL area give us a call today.